Forza Horizon 3 #Forzathon August 10-16: "The Dark of Night"
Here we are, another week and time for another Forza Horizon 3 #Forzathon event! The Forza Horizon 3 #Forzathon August 10-16th event gives you a chance to pick up the usual XP, Credits, Wheelspins, and the Porsche 911 Turbo 3.3. 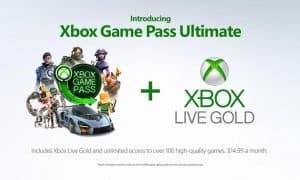 In case you missed the update earlier this year, Forza Horizon 3 is also playable in 4K 30fps glory after the recent Xbox One X Enhanced patch for all you Xbox One X owners out there. 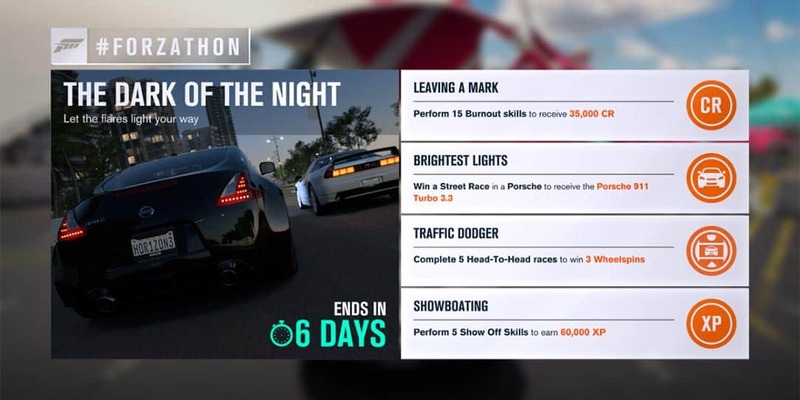 This Forza Horizon 3 #Forzathon event started today at 12:01 a.m. PT and closes at 11:59 pm PT on August 10th so you have until the wee hours of August 11th (depending on your time zone) in order to complete the challenges. As usual, pretty easy and straightforward stuff this week. For the Burnout Skills, simply hit the brake and gas to rev up and release the brake. Stop and repeat 14 more times to receive your weekly credits. You may be able to complete your Show Off Skills during the next two tasks. Show Off Skills require you to pass another care in a race while drifting. Next, filter out the map to Street Race events, head to the nearest one, and make sure you win to get that shiny new Porsche 911 Turbe 3.3. You may as well hop in for the next task. Drive up behind other drivatars, activate the Head-to-Head race, and finish it. Repeat four more times for your 3 Wheelspins. If you still need to finish Showboating, head to a short track with lots of turns and get in a couple laps, remembering to drift while passing other vehicles to get those Show Off Skills. What do you think about the “The Dark of Night” Forza Horizon 3 #Forzathon event? Let us know in the comments below or on Google+, Twitter, or Facebook.